Grant Dixon is a photographer whose work encompasses landscapes, abstract patterns in nature, wildlife, travel and adventure subjects. He lives in Tasmania and ventures frequently into the wild country of Australia's island state. 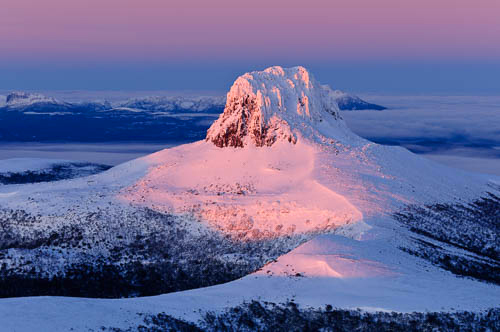 While he knows the Tasmanian backcountry intimately, Grant has also travelled extensively, visiting parts of all seven continents. He is particularly attracted to cool climate regions and mountain landscapes, with many images captured while participating in high latitude or high altitude expeditions. The galleries contain a selection of Grant's best work. Visitors can search the image galleries by keyword or browse the collections organised by geographic region or theme. The images have been captured as high resolution digital files, or comprise high resolution scans of original 35mm or medium format film. Images in the galleries are available as fine art prints, and may also be available for various rights-managed or licensed uses. 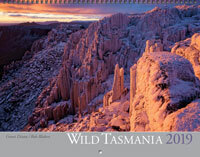 Wild Tasmania calendar, horizontal format (300 x 345mm), wire spiral binding, printed in Tasmania on FSC-certified environmentally friendly paper, 14 pictures by Grant Dixon & Rob Blakers, A$32.50 within Australia, A$45 for international orders.